People call Calum von Moger the “Arnold Schwarzenegger” of his generation. The Australian bodybuilder — who is of Dutch and Austrian descent (like Arnie)— seems destined to follow in Arnold’s footsteps. Schwarzenegger won his first Mr. Universe at 23 and went on to win the competition 4 times! A self-described skinny kid, Calum started out lifting rusty old weights in an empty warehouse, motivated by the goal of one day being as strong as his older brother. He has now taken it a lot further than that! Ready to start seeing real gains? Get professional personal training with Fitplan. Step-by-step daily workouts designed to build your physique the right way. Try it free for 7 days. Calum’s workout routine includes up to three hours of training each day. He does one hour of cardio and up to two hours of weights. 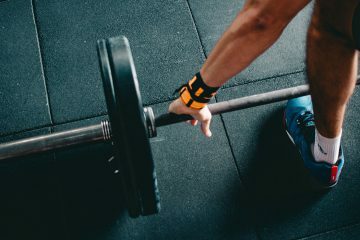 He follow this workout routine six days a week and to fuel his performance in the gym he eats roughly every two hours. Need some inspiration for your workouts? 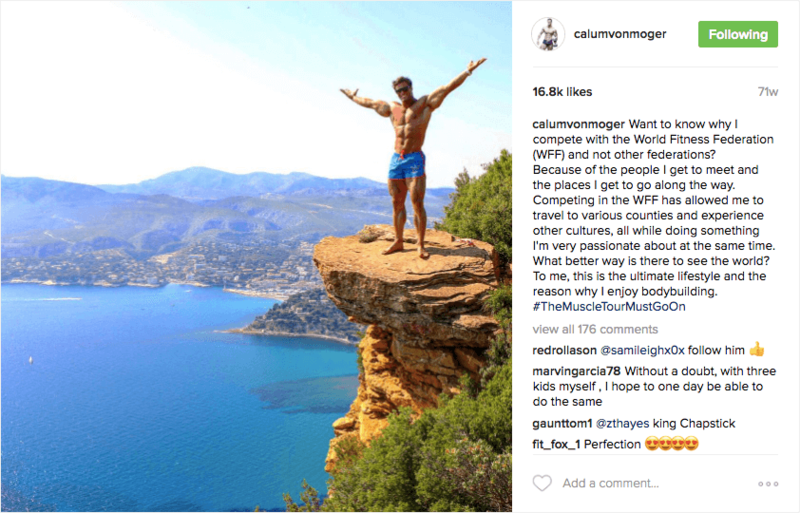 Watch this short documentary on Calum von Moger’s rise to fame. An excellent video from Bodybuilding.com that follows Calum’s full chest routine in the gym. Follow Calum as he does his back workout in this short 2-minute video. This is how Calum von Moger rolls on his rest days. After a short introduction, this video follows Calum’s workouts at his gym in Venice Beach. A short video Calum recorded on his iPhone showing a quick overview of his legs workout. A documentary-style video with an interview and instructions from Calum for how he works out his massive arms. Another great workout from Calum for your biceps and triceps that is worth watching. h/t to SimplyShredded for the workout routine details. Start training with Fitplan today. It’s free to get started.